What started as another annual Free Bikes 4 Kidz pilgrimage, to collect, clean and distribute 5,000 plus slightly used bikes to kids in need has come to fruition this Weekend. 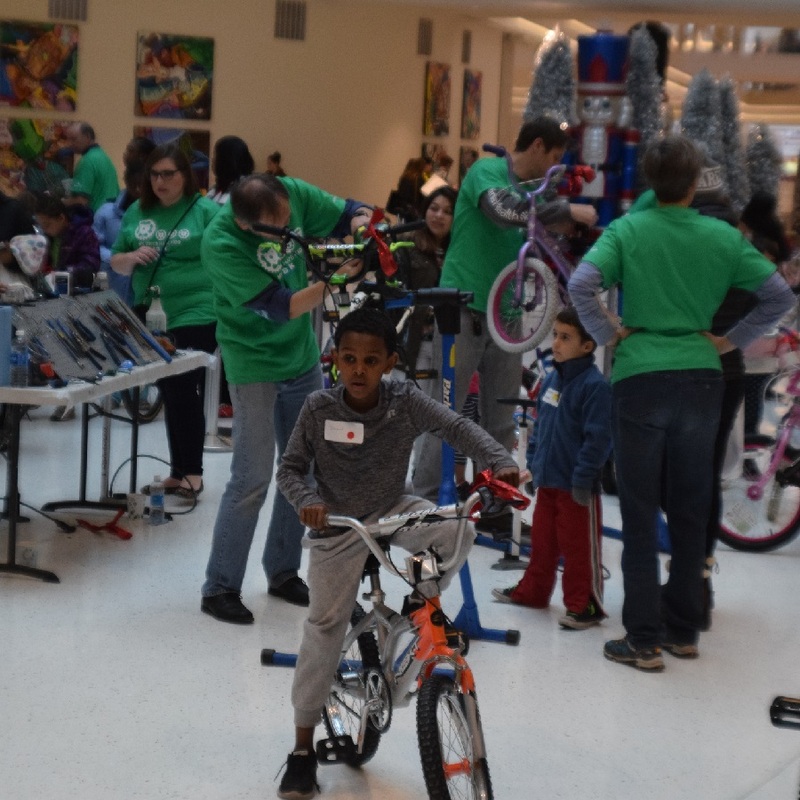 Thanks to the hundreds of volunteers, the Mall of America and people who donated bikes, Terry Esau and his crew are once again witnessing the joy and magic his program brings to those less fortunate before the holidays. Here the Free Bikes 4 Kidz crew is putting finishing touches and sizing the bike as they roll out of the Male of America. 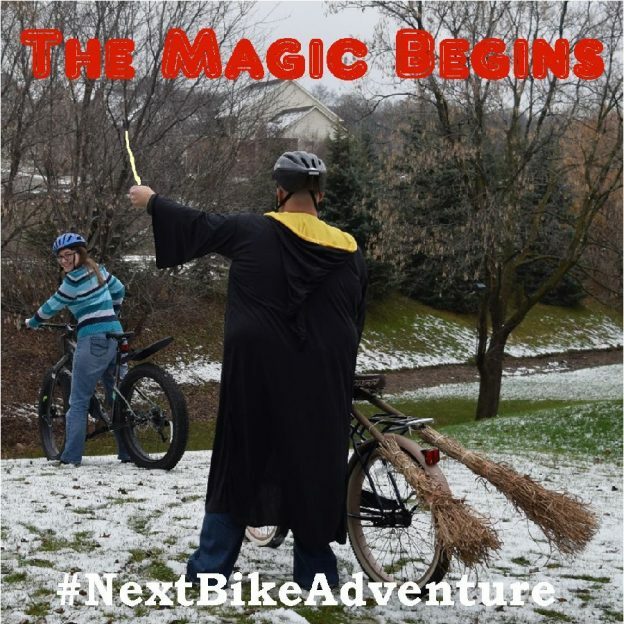 This entry was posted in News, Picture of the Day and tagged #bicycle, #BloomingtonMN, #FB4K's, #freebikes4kidz, #gryffindor, #harrypotter, #mallofamerica, #moa, #nextadventure, #nextbikeadventure, #nimbus, #onlyinMN, #sharethemagic, #wizardingworld, #wrenchslinger, bicycles, bike, bike magic, bikes, Bikes for kids, fat bike, transfiguration on December 4, 2016 by Russ Lowthian.